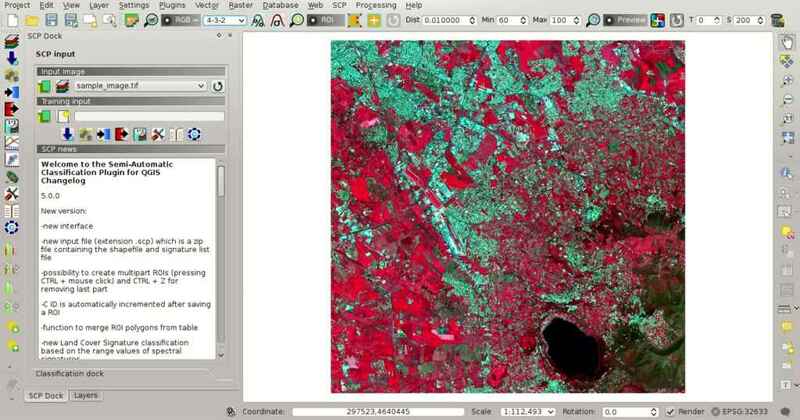 The following is very basic tutorials for land cover classification using the Semi-Automatic Classification Plugin (SCP). It is assumed that you have a basic knowledge of QGIS. This is a basic tutorial about the use of SCP for the classification of a multi-spectral image. 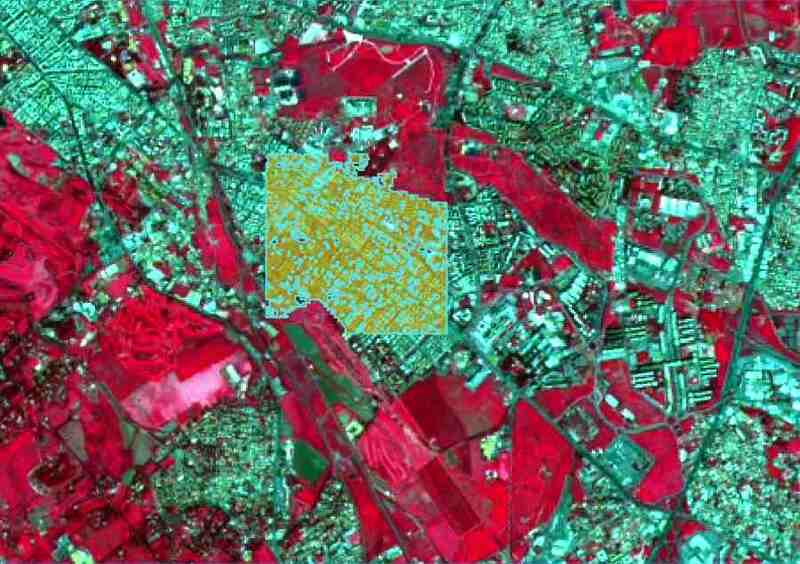 It is recommended to read the Brief Introduction to Remote Sensing before this tutorial. Download the image from this archive (data available from the U.S. Geological Survey) and unzip the downloaded file. 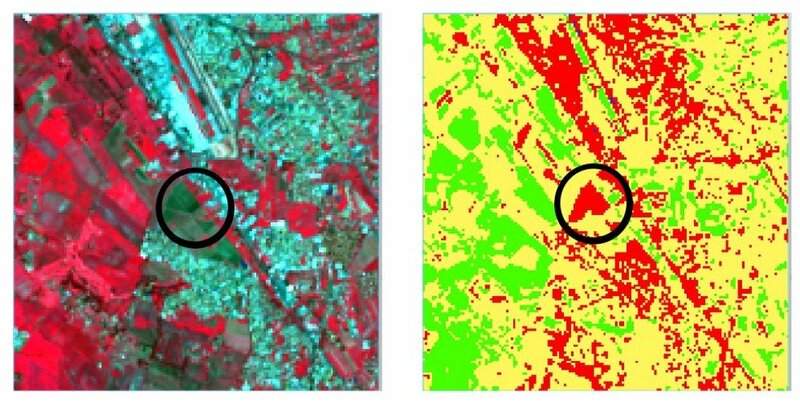 In this tutorial we pretend this dataset is a generic multi-spectral raster in order to focus on the classification process (in the next tutorial we are going to use an image whose bands are single rasters). Start QGIS. In the SCP input click the button of the Input image, in order to select the file sample_image.tif. 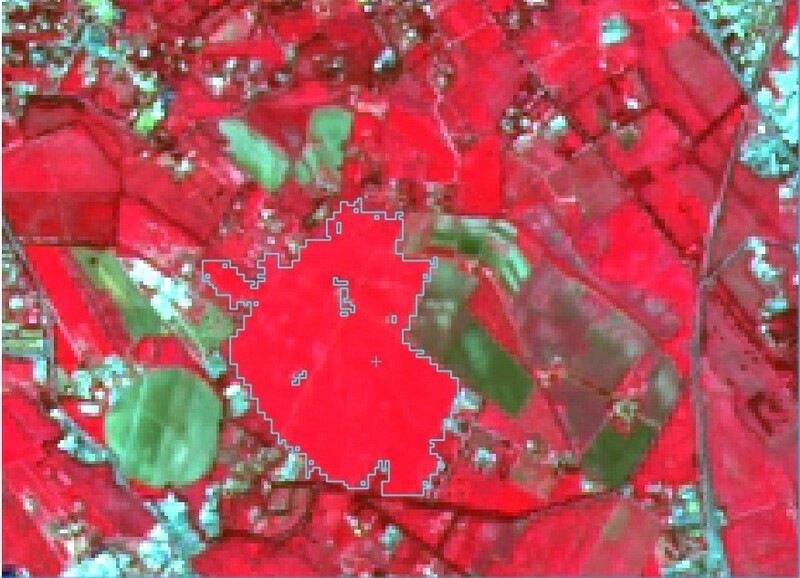 Once selected, sample_image.tif is set as Input image, the image is displayed in the map and bands are loaded in the Band set. In the SCP dock click the button and define a name (e.g. training.scp ) in order to create the Training input. The path of the file is displayed in Training input. A vector is added to QGIS layers with the same name as the Training input (in order to prevent data loss, you should not edit this layer using QGIS functions). We are going to create ROIs defining the Classes and Macroclasses. Each ROI identifies a land cover class through a Class ID. The Class ID codes used in this tutorial are illustrated in the following table (for now we assign the same code to Class ID and Macroclass ID). 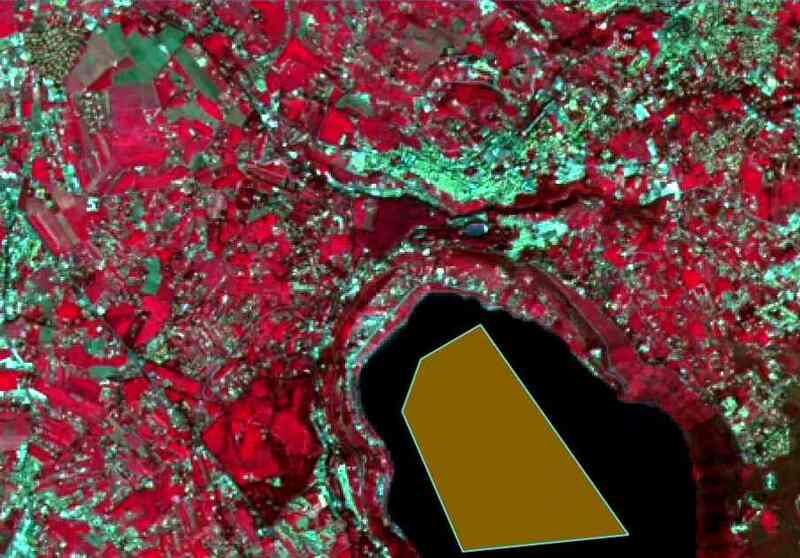 Zoom in the map over the dark area (it is a lake) in the lower right region of the image. In order to create manually a ROI inside the dark area, click the button in the Working toolbar (you can ignore a message about wavelength unit not provided). Left click on the map to define the ROI vertices and right click to define the last vertex closing the polygon. An orange semi-transparent polygon is displayed over the image, which is a temporary polygon (i.e. it is not saved in the Training input). 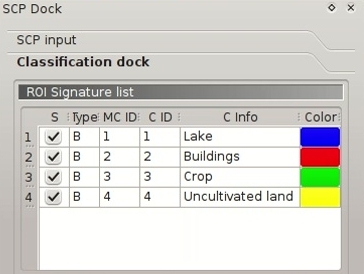 Open the Classification dock to define the Classes and Macroclasses . In the ROI creation set MC ID = 1 and MC Info = Water; also set C ID = 1 and C Info = Lake. Now click to save the ROI in the Training input. After a few seconds, the ROI is listed in the ROI Signature list and the spectral signature is calculated (because Calculate sig. was checked). As you can see, the C ID in ROI creation is automatically increased by 1. Saved ROI is displayed as a dark polygon in the map and the temporary ROI is removed. Also, in the ROI Signature list you can notice that the Type is B, meaning that the ROI spectral signature was calculated and saved in the Training input. Now we are going to create a second ROI for the built-up class using the automatic region growing algorithm. Zoom in the map over the blue area in the upper left region of the image. In Working toolbar set the Dist value to 0.08 . Click the button in the Working toolbar and click over the blue area of the map. After a while the orange semi-transparent polygon is displayed over the image. In the ROI creation set MC ID = 2 and MC Info = Built-up ; also set C ID = 2 (it should be already set) and C Info = Buildings. Again, the C ID in ROI creation is automatically increased by 1. 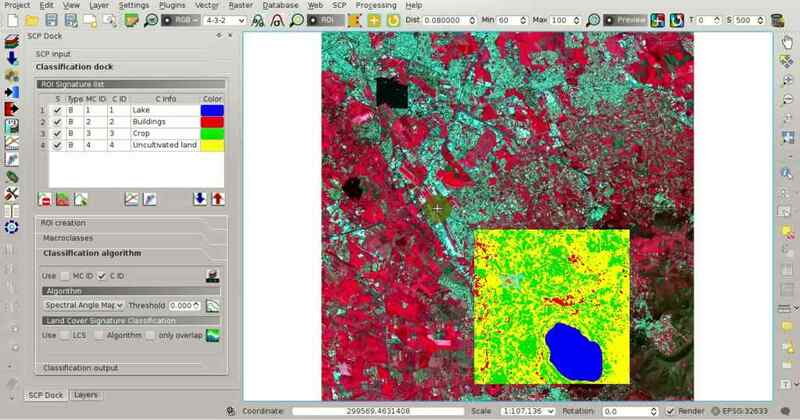 Create a ROI for the class Vegetation (red pixels in color composite RGB=4-3-2) and a ROI for the class Bare soil (green pixels in color composite RGB=4-3-2) following the same steps described previously. The following images show a few examples of these classes identified in the map. Now we need to select the classification algorithm. 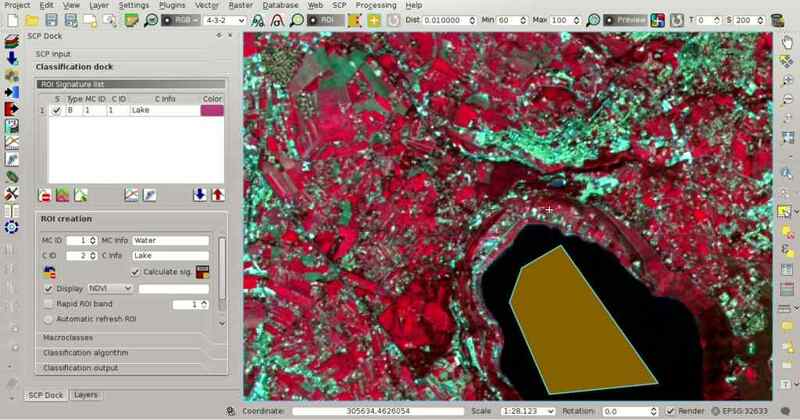 In this tutorial we are going to select the Spectral Angle Mapping. In Classification algorithm select the Spectral Angle Mapping Algorithm. In Classification preview set Size = 500; click the button and then left click a point of the image in the map. 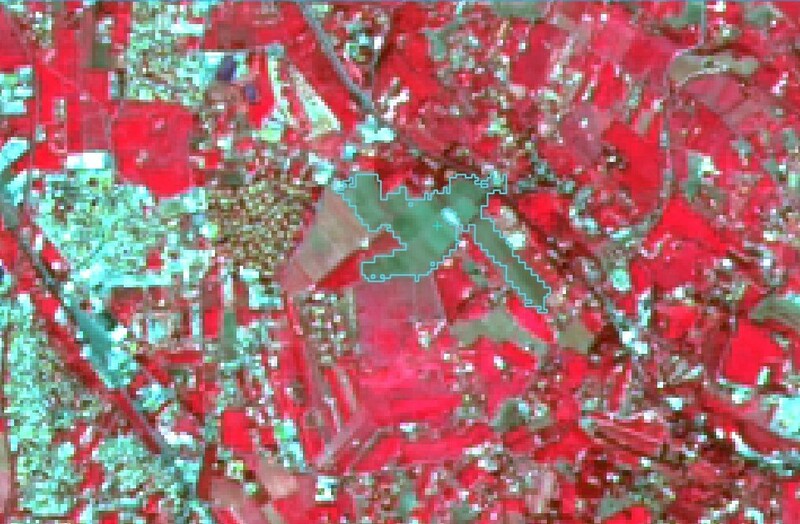 The classification process should be rapid, and the result is a classified square centered in clicked point. Previews are temporary rasters (deleted after QGIS is closed) placed in a group named Class_temp_group in the QGIS panel Layers. TIP : When loading a previously saved QGIS project, a message could ask to handle missing layers, which are temporary layers that SCP creates during each session and are deleted afterwards; you can click Cancel and ignore these layers. In the Classification output click the button and define the path of the classification output, which is a raster file (.tif). If Play sound when finished is checked in Classification process settings, a sound is played when the process is finished. Water and vegetation are correctly identified. However, you can see that there are several classification errors (especially soil classified as built-up and vice versa), because the number of ROIs (spectral signatures) is insufficient. We can improve the classification using some of the tools described in the next tutorial.